Notes from the Slushpile: Notes from the Critique Group - Writers' Tics Uncovered. Notes from the Critique Group - Writers' Tics Uncovered. One of the great things about attending a crit group is realising that you and other writers have ‘tics’ in common. By helping to identify them together you can help each other to remove them and improve your writing. Here are two tics that came up during our latest crit session. Simile: a figure of speech involving the comparison of one thing with another thing of a different kind, used to make a description more emphatic or vivid. 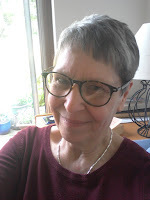 Beware The Blackadder Syndrome - This place stinks like a pair of armoured trousers after the Hundred Years War – unless you are Ben Elton, Richard Curtis or another genius of comedy. Beware The Blackadder Syndrome - The path of my life is strewn with cowpats from the devil's own satanic herd. - See above on who is allowed to be this ridiculous. Used appropriately similes and metaphors are wonderful tools. They aid the readers' understanding of complex issues, they create images that bring immediately clarity to the work, they make us laugh. Author - Princess Penelope’s stomach gurgled like a blocked drain. Reader – No it didn’t. I’ve heard my stomach and it has never, ever sounded like a blocked drain. Actually, having written that, I’ve just thought how funny it would be to write a story about a princess who DOES have a stomach that gurgles like a blocked drain. So, perhaps you should make up a better bad simile for yourself. Some editorial suggestions for those who love to use metaphor and simile. Check the appropriateness – is it right for the situation/genre/age group? Check the word choice - Am I being inappropriately poetical? Does the tone of the metaphor match the tone of the work? Check the logic - Read it as a critical reader and say ‘Really? Does it? Is it? What the hell do I mean by it? Check the image. What image have I created? Is that the image I want? Check the intensity - is it right for the emotion I want the reader to have at this point in the scene? Check you’re not trying to be too clever – am I bringing clarity to the text or am I confusing the reader. Check the frequency of metaphors and similes in some mentor texts (books from the same genre, age group etc that you think reflect what you want to achieve). I analysed a few YA books, just the first chapter. Sometimes writers bury their hooks and protagonists in false atmosphere and mystery. I think they do this to intrigue the reader but it leads to confusion. And there is a fine balance between intrigued, puzzled, and totally confused. If this is your writer’s tic you will have put your protagonist into a scenario that’s normal to him/her and then added a mysterious or scary atmosphere hoping that this mysterious tone will hook the reader. If you’ve done this then you will have created a confused reader when it becomes clear that the protagonist is not in a Hammer Horror. Dave the gravedigger paused in the shadow of the ancient gravestone. His spine tingled. Was this the right place? The right time. He looked around. Listened to the beat of his heart amongst the silent dead. The sun was going down. He wouldn’t be seen now. He dropped to his knees and flipped open his bag. His stomach growled like a stomach that was ready to digest a rotting corpse of putrefaction and pus. (Oops - The Blackadder Syndrome!) He surveyed the contents of the bag. ‘Oh bugger it,’ he swore. His flask of tea had leaked. His butties were soggy. His lunchbreak was ruined. Cemeteries aren’t spooky to those who work in them every day. Don’t write mysteriously because you’re writing a mystery. If it isn’t mysterious to the protagonist don’t make it mysterious to the reader. Be clear. The reader should see, hear, know and feel what the protagonist sees, hears, knows and feels. What is my protagonist seeing and hearing? What emotion is my protagonist experiencing? How have I transferred that into the head of my reader? Have I been honest with my reader? I could go on with more tics, in fact I may do that over the next few posts. 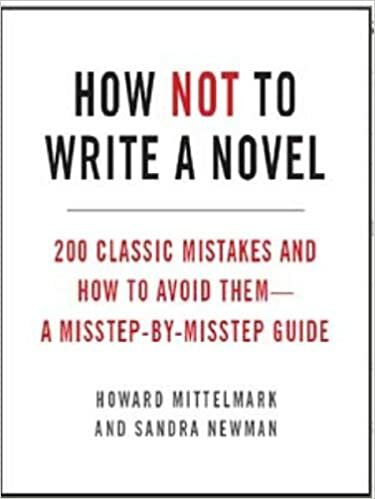 Meanwhile, if you want to identify your own tics you could start with How Not To Write a Novel by Howard Mittelmark and Sandra Newman: 200 mistakes to avoid at all costs if you ever want to get published. It's an excellent checklist. Labels: Maureen Lynas , metaphors , Notes from the critique group , similes , writers' tics , writing comedy. Thanks, Maureen, that book looked interesting, so I bought it on iBooks. Looking forward to reading it. I don't know if you wrote that Dave the gravedigger story, but it reads to me like a perfectly good bit of humorous flash fiction. The only thing I'd crit is that you don't have lunch with the sun going down. Dinner, maybe. I've seen award winning PUBLISHED books that committed all these sins, plus purple prose. I am constantly asking myself if my metaphors and similes are appropriate in my current wip which is set in a neolithic society. The world of the story definitely sets limitations to the world of description. This made me laugh. Your critique group sounds like great fun. My stomach gurgles like the last of the bath water might sound to someone who is partially deaf. Hmm, neuro-atypically accurate but doesn't quite flow. Thanks, Maureen. I'm a big fan of stomachs gurgling like blocked drains or even vice versa. Consequently this is something I think about a lot and you're right, context and character are all. Thanks maureen. I just read Cuckoo's Song which has a lot of amazing metaphors - and they all end up relating to the twist in the book - so I think, if you can make it work well, like Frances Hardinge, anything goes. Also HOW NOT TO WRITE YOUR NOVEL is a hilarious book. Wonderful help post, thank you! Fab - really interesting how sparsely this imagery is used by the great and good of children's literature. Thanks for this, Maureen.